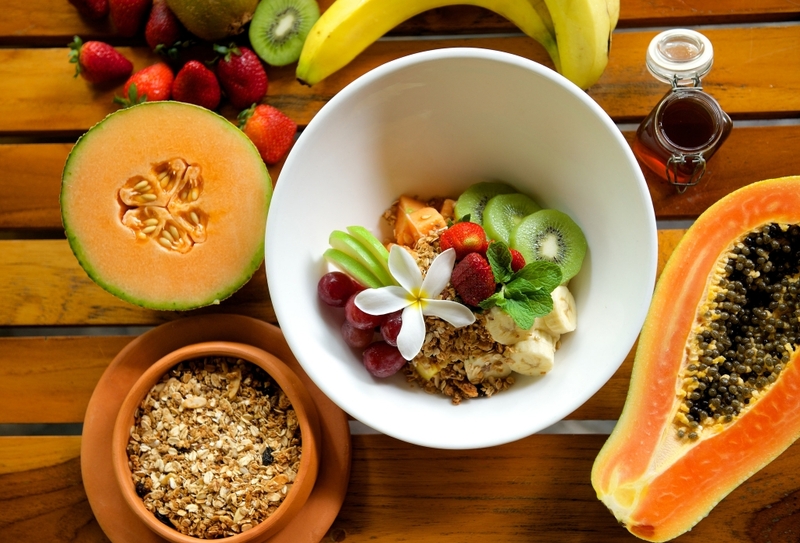 A favorite breakfast of locals and guests alike, Nectar’s Healthy Morning Bowl features fresh, locally grown fruit with all natural honey and homemade granola. Any day that starts like this is a day headed in the right direction. Try our recipe below and add your own seasonal, fresh fruit to the mix. Experiment with homemade or your favorite ready-made granola. Dice all fruit in 1” squares. Place chopped fruit in a bowl, top with yogurt and sprinkle granola, garnish with mint leaves on top. Find other delicious and healthy recipes from Néctar.